We hope you enjoy browsing this website and take time to look at the photographs, read the descriptions and listen to the memories of local residents. You can view images more clearly by clicking on them to open a larger version. All photographs, written and spoken word remain the copyright of the Croxley Green History Project unless otherwise stated. Whilst we have strived to make sure that all information is correct, we are aware that there may be some grammatical or historical mistakes and so if you would like to send feedback, general comments, or just keep a record of your browsing of the site, we have created a file that will help you HERE. All feedback, comments, input, photographs and documents you are willing to share can be sent via the contacts page. We would carefully copy and if needed enhance original photographs and return promptly with copies of what has been produced. Whilst looking through this website, we hope you enjoy finding new facts you never knew about Croxley Green, see old photographs of places you know so well and take pleasure knowing that we all live in such a wonderful and historic village. The Croxley Green History website would like to thank Hertfordshire County Council, Croxley Green Parish Council and Croxley Green Residents Association for their generous funding and for the time and effort given by local residents of Croxley Green without whom this website would not be possible. 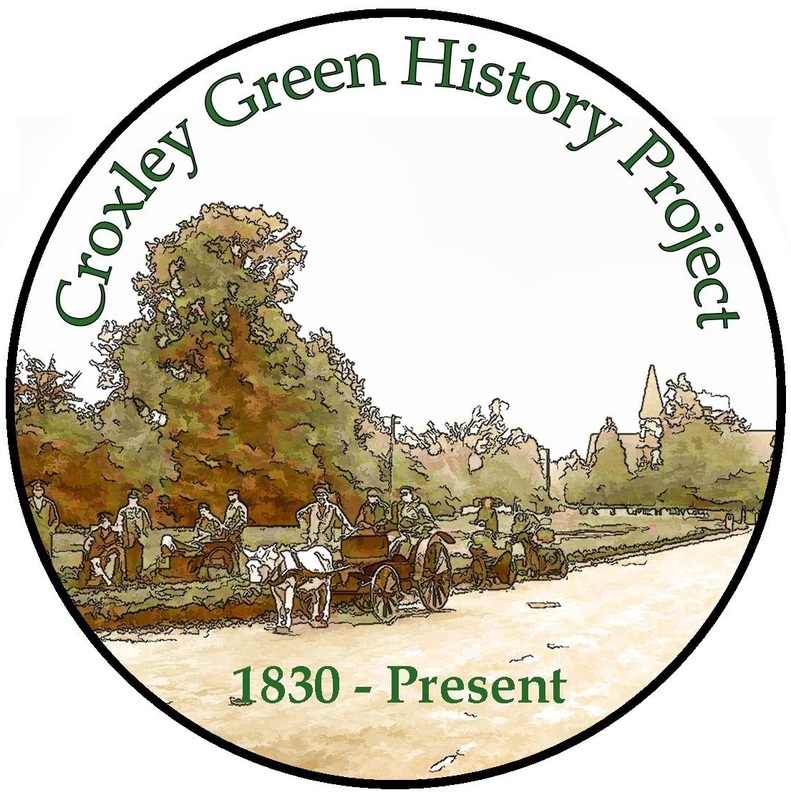 The Croxley Green History Project is a community based history and archive project that allows the residents of Croxley Green to identify and celebrate their heritage. Huge leaps in the use and accessibility to web based technology have enabled the Croxley Green History Project to initiate a low cost plan that is based on the setting up of this designated Croxley Green History website that initially contained 600 photos, 1,000 documents and 100 statements from local residents. the website can discover numerous historical facts and facets about Croxley Green. Many people, now or previously associated with Croxley Green have retained memories and artefacts concerning their lives and experiences of those days. If revealed and collated, such an abundance of diverse and fascinating matters can be transformed into an historic journal for the information and enjoyment of all. This is what we are hoping to achieve. 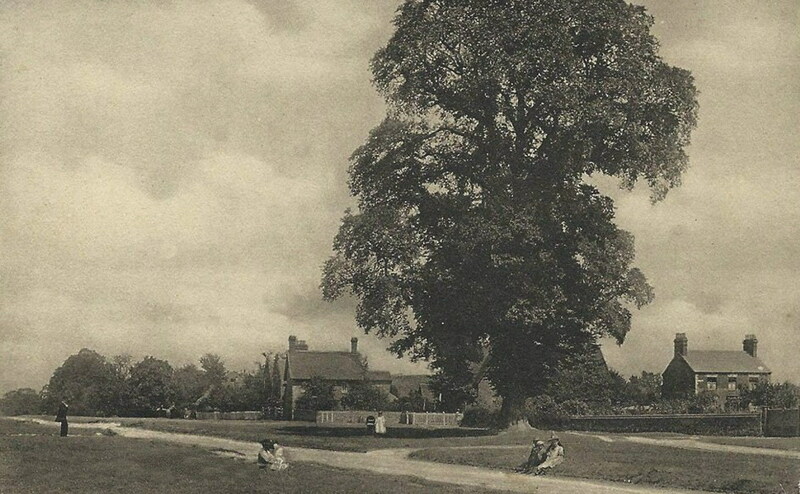 Depictions of the Croxley Green of yesteryear by way of recollections and photographs will hopefully capture the reader’s imagination, giving rise to an appreciation of how things were in days gone by. 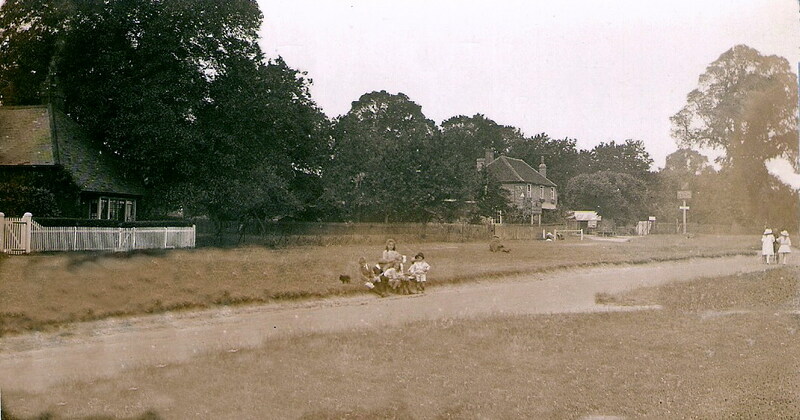 It is apparent that ‘incomers’ to Croxley Green developed a sense of belonging as they adapted to a new and different way of life and made the area their home. That life they cultivated and revealed in as time passed by. Through these pages we will endeavour to introduce you to those past times and we hope you enjoy the experience. © When sheep could safely graze! generations to access enjoy and learn from. The majority of the content as at 2015 has been collected over a period of 25 years. To this has been added memorabilia, given,loaned or copied and reproduction improved providing as much history to make an interesting start. Hopefully this will encourage past and present residents to add to the website. The purpose of the website is to make available a resource for researchers, schools and families. A starting point to learn about the place in which Croxley Green residents lived and enjoyed a life of a semi urban / rural life. Much of the recent content has been kindly made available from other sources including The Archivist at The Paper Trail Three Rivers Museum and again many local generous residents. 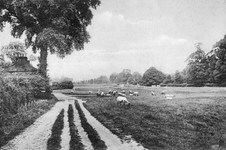 Early photographs made available for its content may show lost views or buildings that have been overtaken by development. The originals were of poor quality. Many hours have been spent enhancing these to bring them up to a standard that was worthy of their original state. It is not a website that is intended for its content to be copied and used for profit by individuals. However, should any of the content be of use for educational or local interest purposes then permission to use it should be sought from the association and if required and available an original copy can be obtained. The Croxley Green History Project does not necessarily hold the copyright of some of the content and therefore to avoid any compromises please use the website contact form for advice. Croxley Green History Group take the theft of our original work very seriously and would draw to your attention it is protected under UK and EU copyright law. Please note we will always seek compensation if any part of our website, design or SEO whether text, images or recordings are found being used without prior authorisation in writing. You can read our full copyright notice HERE.